you will be, too! This table is rich in color and sleek in style. We love incorporating fruits and vegetables into our designs from time to time and these red delicious apples were the perfect jumping off point for this tablescape. 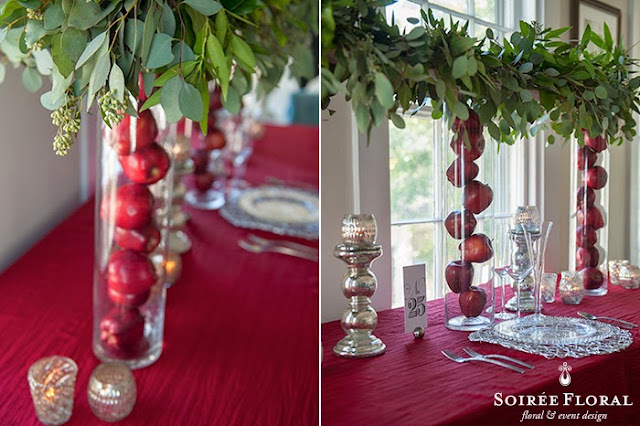 This design could easily be adapted to accommodate a longer table or perhaps serve as the backdrop to a buffet station/table. 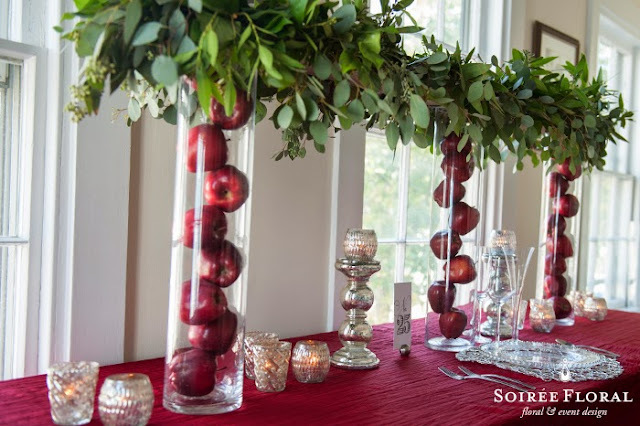 The mercury glass risers and votive holders add a touch of glimmer to the table, while the green garland atop the apples brings in just a touch of earthiness. 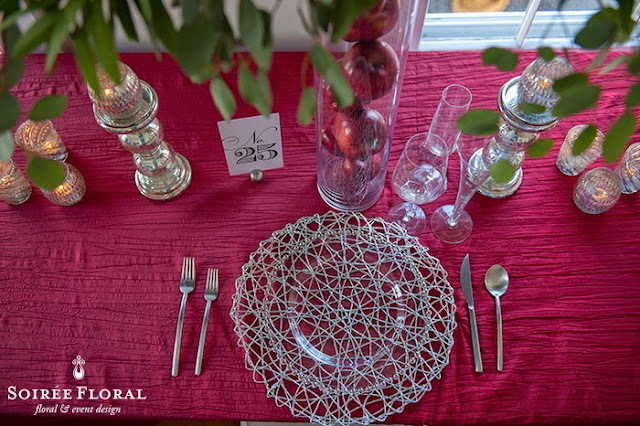 We had fun diving into the inventory of Placesetters, Inc. once again and couldn't resist the swirly silver charger mixed with the clear beaded plate; we kept all of it very clean and simple without being plain. 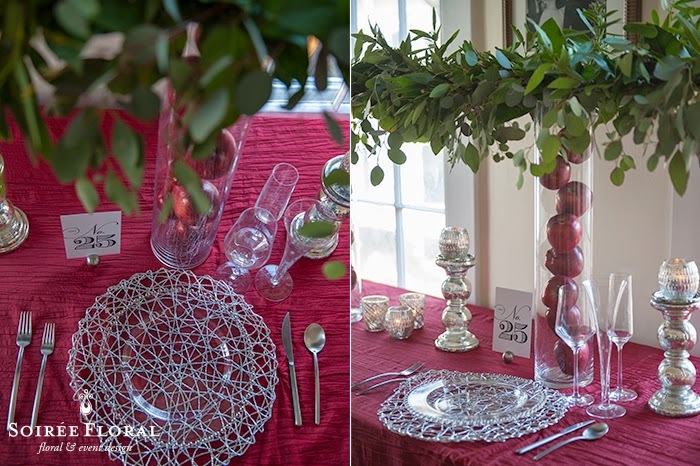 We'll be sharing two more looks over the next two weeks to get you inspired to create a whimsical tablescape of your own! You can shop our Polyvore board for this look and Make It Your Own!